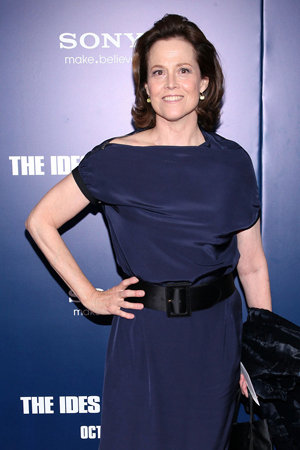 Sigourney Weaver is such a Political Animal! Weaver is still a Working Girl after all! The three-time Oscar nominee is set to star in USA’s upcoming political drama. Though we are in the midst of a heated presidential election, we apparently have yet to see any Political Animals at any podium. Such is the name of USA network’s original series, and tapped to star in the upcoming high-profile project is three-time Oscar nominee, Sigourney Weaver! According to The Hollywood Reporter, the Avatar actress will play the role of Elaine Barrish, the divorced former first lady and newly appointed secretary of state. She throws herself into the job after recovering from the dissolution of her marriage and losing the presidential nomination. THR also reports that Weaver’s character will rely heavily on her son Doug (who will be played by Happy Endings’ James Wolk), her chief of staff who is tormented by his twin brother’s battle with addiction. Brittany Ishibashi of Parenthood and Fairly Legal also co-stars as Doug’s fiancee. Political Animals comes from the genius of Greg Berlanti (Brothers & Sisters) and Laurence Mark (Dreamgirls). Both Berlanti and Mark will serve as executive producers, and Berlanti has already written and will direct the pilot episode. Sigourney Weaver won’t only find herself in conflict with her other characters, however. Political Animals will also be up against multiple other debut political dramas on the silver screen: HBO’s comedy Veep, NBC’s first family development project 1600 Penn and Hulu’s Battleground. Only time will tell which political drama will win the ratings race! Can Henry Cavill save Bruce Willis…?